Bowling is America’s #1 participation activity with over 68 million American’s bowling each year. Bowling is a favorite with children/kids ages 4-18 with over 40% of that age group bowling at least once per year. Candlepin Bowling is a blast! 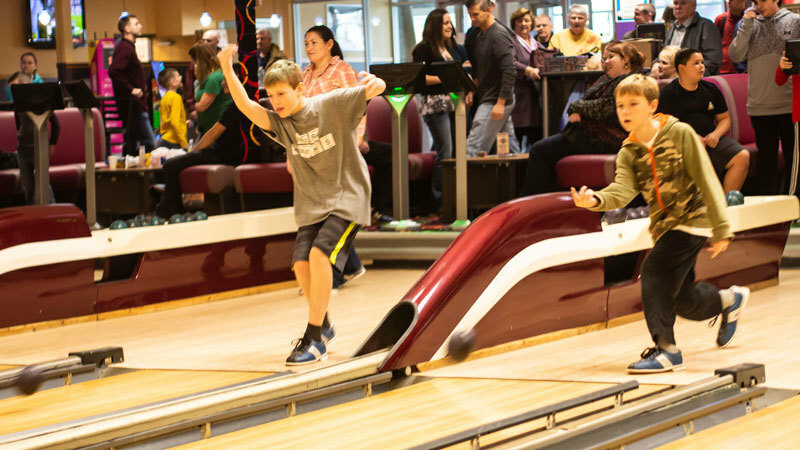 Bowl-O-Rama's Youth program offers instruction by certified instructors, weekly prizes, raffles, fun tournaments, prizes, achievement patches, family fun awards day with trophies, and holiday parties! We don’t just teach bowling, we teach crucial life and social skills. If you are interested in signing your kid(s) up for our youth program, email us or call us at 603-436-0504. Our youth program is all-inclusive – any child is welcome. We go out of our way to make our kids feel special and important. We provide the most value of any youth program around! Parents are always welcome – join our growing community of families! Need a little more time before you get home for work? We have a low-cost after-school bowling club for middle and high school students. Bowl-O-Rama hosts area students in a safe place to have a little fun after school. Please call for more details on enrolling your child today!